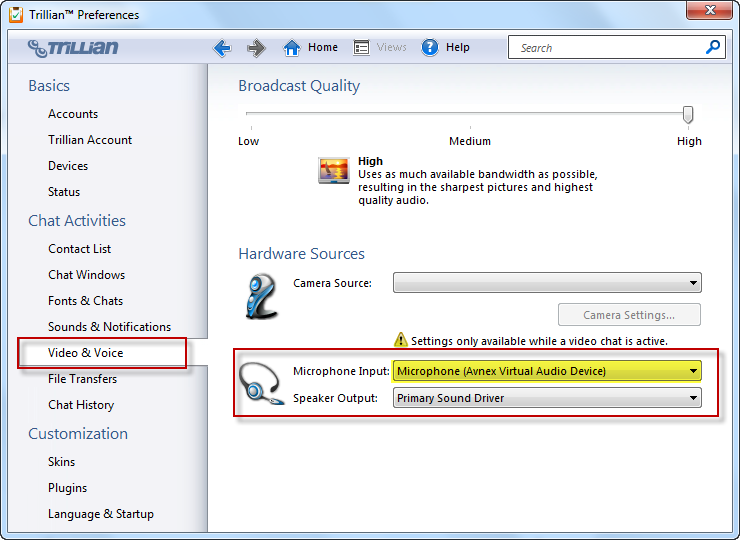 This tutorial will guide you on how to change voice in Trillian with Voice Changer Software Diamond 8.0. - You should have the VCS Diamond 8.0 Full version to get more feature. - You should learn how to change voice using Voice Morpher feature. - Make sure the VCSD in Virtual Audio Driver mode. 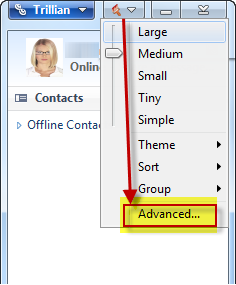 To set up VCS Diamond 8.0 specifically for Trillian, go to View menu >> select Advanced command to open Trillian Preferences windows. 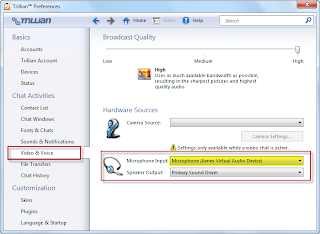 - In Trillian Preferences windows, go to Video & Voice >> Select Microphone Input is Microphone (Avnex Virtual Audio Device). Now you can srat voice chatting on Trillian. 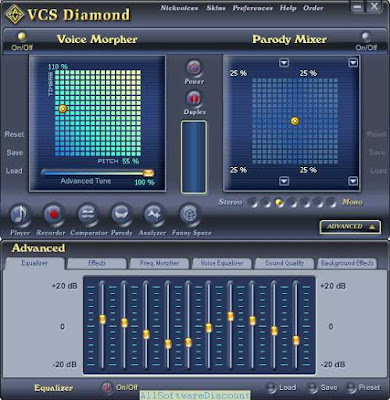 The morphing settings for your voice will be applied automatically.